Sigma has been making quite a name for itself, thanks largely to the company’s high-end “Art” lenses, which rival—and often exceed—the quality of the best lenses from the camera manufacturers, at a lower price, to boot. Available for Nikon, Canon and—via the company’s MC-11 adapter—Sony E mount, the Art series gives shooters of the major full-frame systems a great third-party lens choice. 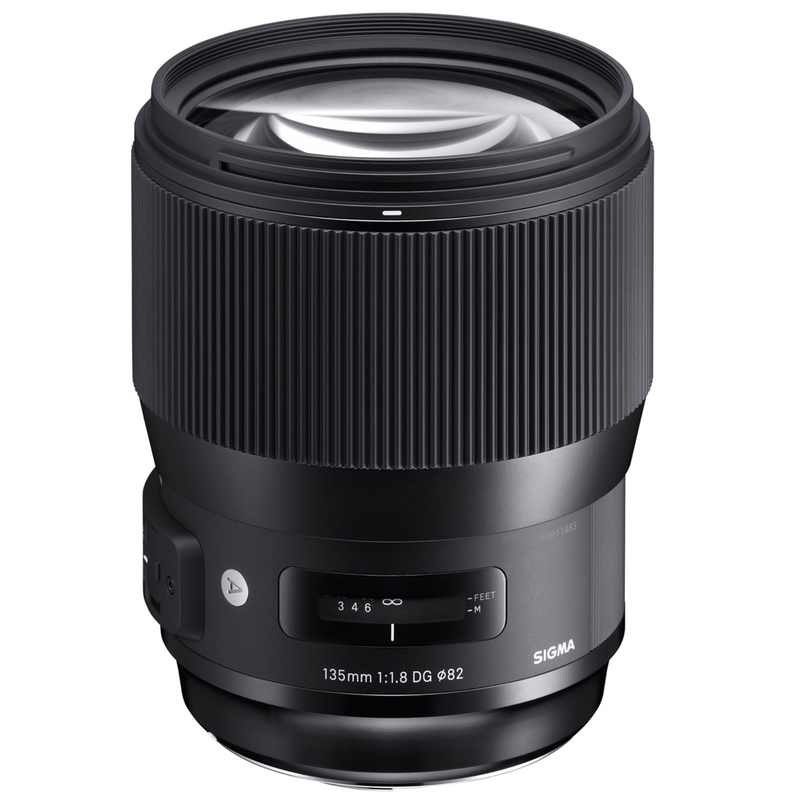 The Sigma 135mm F1.8 DG HSM Art lens is designed primarily for portrait shooters, with a focal length that creates the bit of compression that’s desirable when photographing faces. The lens is comprised of 13 elements in 10 groups, with both SLD and FLD glass, and has a nine-blade aperture for smooth background defocus. I coupled the camera with both the Canon EOS 5D Mark IV and the new Sony a7R III, via the Sigma MC-11 adapter. In both cases, the lens was incredibly quick to focus (thanks to the hypersonic motor, the “HSM” part of the name) and incredibly quiet (also thanks to that motor). The lens provided accurate focus on the Canon EOS 5D Mark IV, too, as fast as any native lens. On the Sony a7R III, the focus had more issues with face detection than a native Sony lens. The focus would find a face and occasionally jump off of the face—at least based on the displayed viewfinder points. I found it easier to use a small focus zone with the a7R III, rather than the wide area plus face detection. It’s likely that the jumping focus on the Sony is due to the newness of the a7R III, and that the firmware in the lens will need to be updated. One of the nice things about Sigma lenses that support the company’s USB Dock is that the firmware can be updated easily by connecting it to a computer and downloading the firmware installer. This should allow the lens to improve compatibility with the Sony down the road. Visually, the Sigma 135mm F1.8 DG HSM Art lens is stunning. Background defocus is beautiful, sharpness is amazing, and the color rendition is excellent. When shooting with the lens, I was able to shoot wide open at ƒ/1.8—which should reveal the most glaring issues with the lens—and found little to complain about. Vignetting was minor at the edges, the details in the subjects were tack-sharp, and the sharpness was maintained close to the edge of the lens as well. When shooting the Sony a7R III with eye detection AF on, even at ƒ/1.8, the subject’s eye and face were spot on every time. At ƒ/2.8 to ƒ/4, images were even sharper and more accurate. There’s a lushness to the background defocus that many companies try to achieve, but not all make it. This lens has the background blur to die for. The Sigma 135mm F1.8 DG HSM Art lens is around $1,200 (the retail price is $1,300, but sale prices at the time we went to print had it lower). It offers an extremely durable-feeling build quality, exceptional optics and great performance. The medium telephoto range might not be ideal for all subjects, but for the portrait, wedding and fashion shooter, this lens is a perfect solution.